Balance Osteopathy uses a movement based approach to screen your musculoskeletal system for problem areas that may be producing stress on other parts of your body where you experience pain during daily activities, tasks, exercises or sport. A combination of hands-on techniques and functional rehabilitation -using dynamic movements and stretches to 'iron out' stiff areas and get the body working well as a unit during your movements. 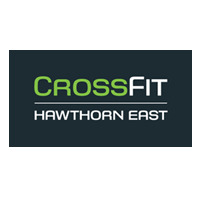 CrossFit Hawthorn East provides an effective strength and conditioning program combining weightlifting, gymnastics and endurance training. It is challenging, intense and fun and the workouts can be scaled to match your fitness level. We offer HOT yoga for detoxification, dynamic vinyasa FLOW yoga, and gentle YIN yoga classes 7 days a week. Enjoy our modern facilities and expert guidance for all levels in our beautiful Hawthorn East studio. Acupuncture, Bowen Therapy,Chinese Herbal Medicine. Primal Junction is based in Melbourne and specialises in real-food and paleo nutritional consultations, primal education and group seminars. We are a team of CrossFit coaches, sports scientists and nutritionists with the goal to inspire our community to live a life they love fuelled by real-food. Revive Holistic Health is a hub for wellness offering all types of massage including remedial, deep tissue, sports, relaxation and pregnancy massage. We offer nutritional advice from university trained professionals, and energy healing modalities such as Reiki, Theta healing and Access Consciousness. We are passionate about healing the natural way and aim to improve your overall physical, mental and emotional wellbeing. The Common Good is a local, independent grocery store. Owned by locals who are committed to doing ethical and fair trade in the organic and wholefood space. We are striving to reacquaint people with shopping locally, eating organically and sustainably and widening the conversation to ethical living and integrity based business. We are a husband, wife and toddler team who juggle going to market, dealing with growers ,farmers and suppliers and researching and getting to know all the people and companies behind the products we sell. Our store has all your household provisional staples, lots of gluten free, vegan and paleo items as well as gourmet goodies. Wizzer and Whyte is an artisan accessory company. Creating wearable art with a focus on individuality and natural elements, using stone, jade, silver, freshwater pearls, wood and leather, each piece&nbsp;is designed and made in Melbourne. Layer them up!